Finding the right hardwood flooring company Buford GA residents can rely on will enable you to achieve the gorgeous hardwood floors your home or business deserves. It’s important to choose a flooring company with experience, expertise, and a passion for hardwood floors. Atlanta Floors has all of that as well as attentive customer service to ensure you are 100% satisfied with the result. Perhaps you have old flooring that looks dull or has an unfortunate staining job—that’s no problem for our team at Atlanta Floors. Or maybe you want to update your home with a gorgeous hardwood flooring installation. We can do that too! Our team can bring to life whatever you envision for your home or business flooring. And, we do it all with a level of expertise and customer care you won’t find with any other Atlanta-area business. From your first call to our office, you will know your flooring needs are in good hands. We care about our customers and want to be sure we get every flooring project just right. So, we start every consultation by listening to your needs and catching your vision. If you aren’t sure what you want, we can also help you to consider your best flooring options for your existing space. If you are a homeowner or business in Buford, GA, looking for hardwood floor refinishing or installation services, call Atlanta Floors. John and his crew were very professional and timely. The entire project, from bid to completion was 1 week. His price was very competitive and he takes great pride in his work. We would definitely hire again. Let us sand and stain your hardwoods with a trendy new color you’ll love. Next, we’ll then apply the highest quality finish to protect and extend the life of your floors. Is your old flooring simply beyond repair and you want to change out old carpeting, linoleum or tile for beautiful hardwood? If so, let our team install any type of hardwood flooring you might desire—from solid wood and engineered hardwood to laminate flooring. You will be amazed by the results. Perhaps your flooring simply needs a refresh. We can easily repair those scratches, nicks, or water damage in high traffic zones. With the Atlanta Floors touch, your hardwood floors will look good as new. 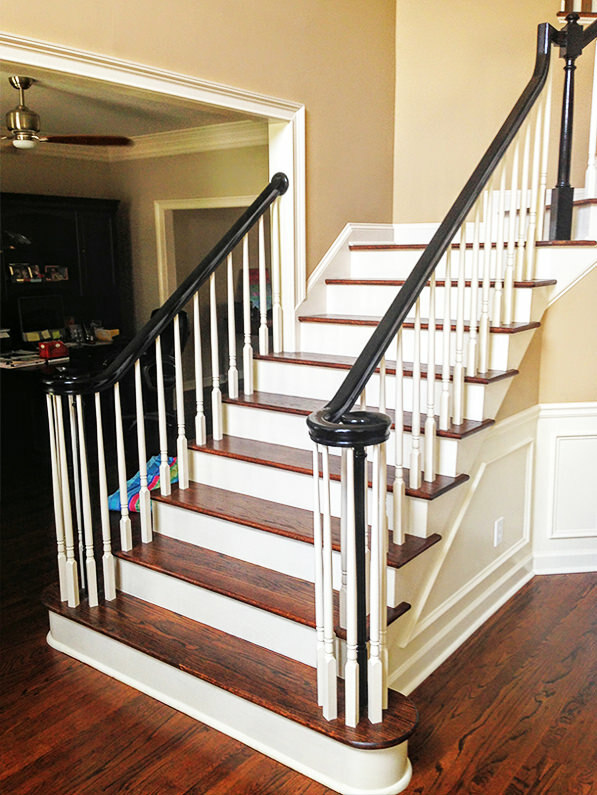 Hardwood floors repair, restoration, installation, and even hardwood stairs and iron balusters receive the special treatment from Atlanta Floors. We are the bringing-back-the-beauty specialists. There’s nothing quite like a gorgeous hardwood floor or staircase, and our team of experts is ready to bring out the beauty in your Buford home or business. Contact us today at 404.915.5054 to get a quote from the professional hardwood flooring company Buford Georgia has relied on for years.